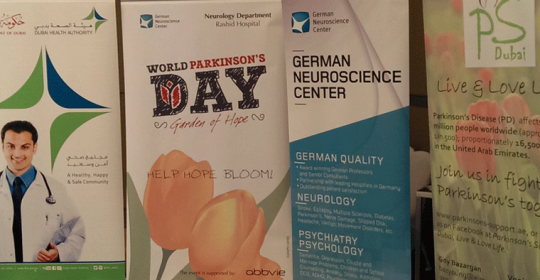 World Parkinson Day 2015: A big success – German Neuroscience Center joint forces with the Dubai Health Authority – Rashid Hospital, Parkinson Support Group Dubai, Movement Mantra and Abbvie. The preparation of this big event was of course stressful, time consuming and many times we exhausted our brains how we could make the event a success. In many meetings we worked very hard to make it happen. Many issues had to be solved. As it was a charity event nobody was paid for their work. This showed a big personal drive in all of us. Did we reach our goals? Yes, even more! The event exceeded our expectations by far. 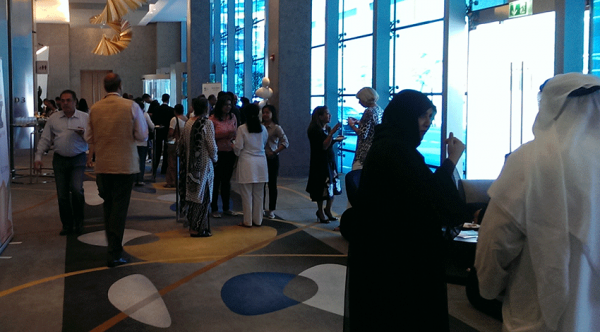 The beautiful venue at Sofitel was packed with patients and caregivers. After the opening by Dr. Abubaker Almadani, Head of Neurology Section Rashid Hospital – Dubai Health Authority, Ingrid van de Kamp gave a great overview about the work of the Parkinson Support Group. 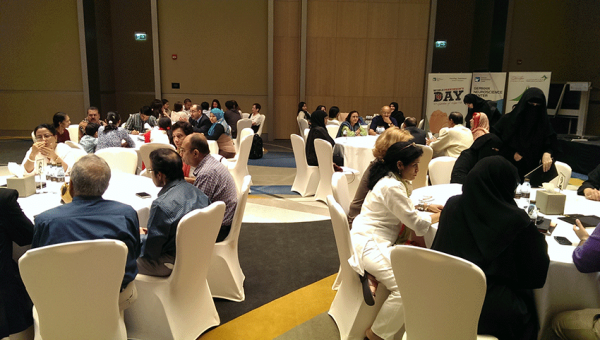 Dr. Nouf Altalai announced that the Rashid Hospital will find a UAE wide Parkinson Support Group as well. Vonita Singh explained how challenges of Parkinson’s can be eased through rhythm, imagery and visualization. Vonita performed with her group – Movement Mantra – a beautiful dance with Parkinson’s patients. Dr. Gamal Yousif gave a spontaneous presentation about speaking challenges Parkinson’s patients can face. Patients had the possibility to fill out a special questionnaire to detect these kind of problems. After a short coffee break a young Parkinson Patient gave a moving and intelligent speech about her personal journey as a Parkinson’s patient. • Diana Nahas, Psychologist – German Neuroscience Center. She was answering questions about the demanding role of the caregiver and the psychological aspects of Parkinson’s disease. • Dr. Shareefa, Neurologist – DHA Rashid Hospital. She was answering all kind of questions regarding Parkinson’s disease. • Dr Yasir, Neurologist – DHA Rashid Hospital. He was answering all kind of questions regarding Parkinson’s disease. • Dr Husnain, Neurologist – DHA Rashid Hospital. He was answering all kind of questions regarding Parkinson’s disease. 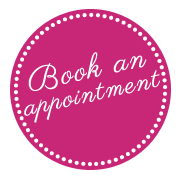 • Dr Gamal Yousif & colleagues, Speech therapist– DHA Rashid Hospital. He was answering questions regarding speech problems in Parkinson’s disease. The feedback was overwhelmingly positive. This big success encouraged us all to continue our cooperation and plan the next projects. Special thanks goes to all professionals listed above, volunteers at the event, Abbvie who hosted the beautiful venue and all media which made it possible to reach so many patients.